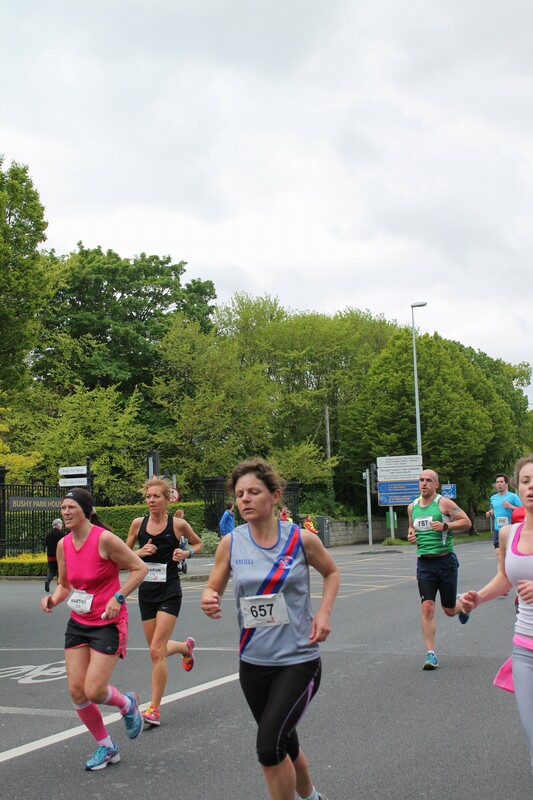 Terenure 5 Mile | SlowSlowQuickQuickFast? What with trying to cram as many miles as possible in before Prague everything has been very slow of late. Lots of long, slow, low intensity runs which truth be told isn’t that much of a change for me. The only time I ever really run 5k/5 mile/10k pace is if I’m running a 5k/5 mile 10k which obviously isn’t a very well rounded approach to training or running, and is something I know needs to be amended. With that in mind, and the fact that I could really do with going out and just running hard, I signed up last week to do the Terenure 5 mile. Both the 5 mile races I’ve run in the past have been quite frustrating affairs. Last year I ran Emo on Good Friday, expecting to go well considering I was in (for me at least) really good shape just coming up to Hamburg marathon. On a scorching hot day I went off way too quick and from 5k onwards it was just horrendous, leading to a very limp finish and me being really unhappy with it (not taking into account I was in the middle of a very big training week, had ran a 10k PB in the K-Club on the preceding Saturday and followed that up with a 20 mile long run on Sunday). 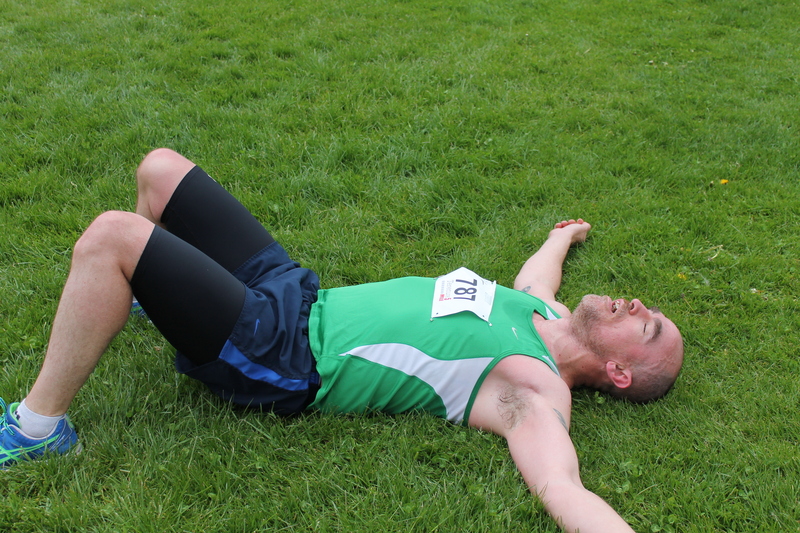 I ran Raheny 5 in January of this year, wasn’t in great shape, hadn’t great prep, managed to shave nine seconds off my Emo time but really wasn’t happy with it because a late pitstop/emergency wee/break because it was getting too hard saw me miss out on sub 35 by 24 seconds. Terenure I thought should be an ideal place to finally crack the elusive 35 minute mark but also just a chance to run hard, maybe blow off some cobwebs after Prague as despite that being a ‘training run’ my legs have felt just a little bit feeble since then. So with that I was up nice and early on Saturday morning, official photographer back on board after she missed Prague for ‘personal reasons’, and heading for Terenure with enough time to drop my car at my brother’s, stroll down to Terenure College for number pick up and get a nice long warm up in. I don’t know how many times I’ve gone out for a run and only felt good once I’m 5/6k into it, yet despite that I still generally don’t warm up near enough for races, so today I was actually going to do it properly for once. Which I did. 4k nice and easy around Bushy Park, some strides, stretches, I was finally feeling awake and my legs felt ok so it was time to head down towards the start line. Unusually for such a short race there are pacers so I positioned myself with the 35 minute pacers in sight with the idea of using them as a rough guide but running my own pace. I really didn’t want to make the mistake of going off too hard and then be blowing out of my bottom after a couple of miles. Considering the numbers in the race (just under 1200) the start was actually reasonably civilised. 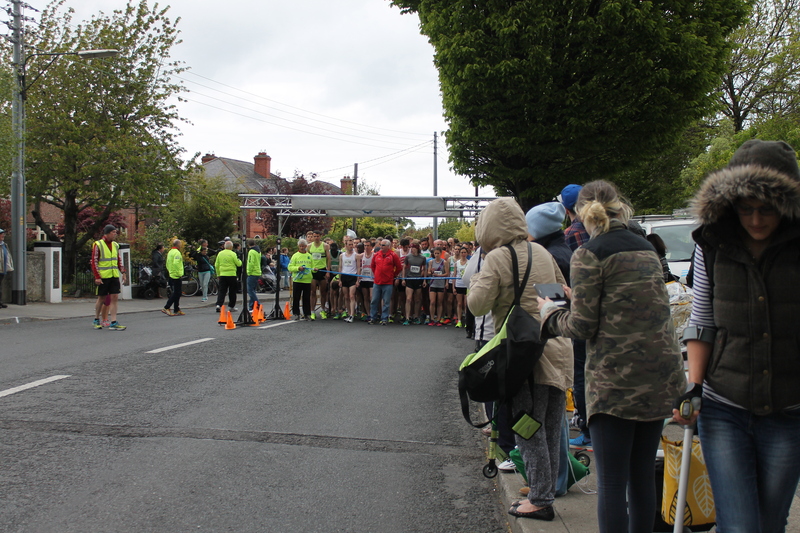 Raheny I know has more runners, and also has the added difficulty of starting in a very residential area, but the start of that race felt like chaos with people coming from all angles, up and down off footpaths, dodging parked cars. Here it was just a siren sounding and then off we went, down a nice straight road for a few hundred metres before hanging a left on to Templeogue Road, which felt at least like it was ever so slightly downhill, not to mention perfectly smooth so I decided I’d up the pace a little bit and sit in behind the 35 minute pacers. We turned left then at Rathdown Motors, the road returning to normal Irish conditions underfoot, wind in our faces and all of a sudden it didn’t feel quite so easy. Not long after that it was another left turn, on to Fortfield Road, and I remember thinking “not sure how much longer I can hang on at this pace, really starting to feel it in the legs now” so I looked at my watch and saw a distance covered of 2.64km. A third of the race! That’s all I’d done and already I was thinking about just hanging on. Balls. My head dropped a bit at that moment and I had a look around to see if there was anyone right behind me as I thought for a second about stepping off the course, then about slowing down. I didn’t think I’d be able to maintain my pace at all and started cursing myself “well of course you can’t run at this pace, you never train at this pace, what did you expect, this is stupid, I bloody hate this etc etc etc”. Despite my little whinge session and a slight slowing the 35 minute pacers were still just in front of me, my legs hadn’t fallen off and I was still alive so I tried to close the distance to them without using too much of what little energy I had. I edged gradually closer and before I knew it we were back on Templeogue Road and starting the second lap. My 5k split popped up on my watch shortly after showing 21:20, which would actually have been a 5k PB for me if it had been a standalone race. I was momentarily buoyed by this before the worry re-emerged “If you’re going at 5k PB pace then you’re going too fast for a 5 mile. You’ve made a balls of this. You’re going to completely blow up in the last 3k. No way you’ll sustain that”. 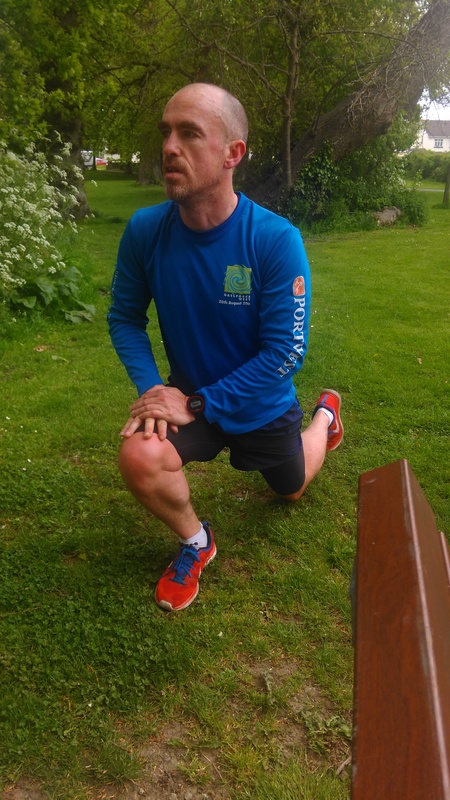 Thankfully we were on the quickest section of the course, the running was a little bit easier and I could trick myself into thinking I still had plenty in the bank, especially as I had caught right up to the 35 minute pacers just as we came up to Rathdown Motors again. Convincing yourself that you can carry on hurting for another fifteen minutes is a lot easier when the hurt has dissipated due to ideal conditions. Turning that hard left corner really stalled what momentum I had though, which in turn massively dented my confidence. Its true that its easier to run quicker when you have a target just ahead to aim at, but it’s also somewhat of a soul destroying experience when that target just keeps inching further and further away. By this stage I was having the full on little devil on one shoulder saying “let them go, just ease off, slow down, do it some other day” and the little angel on the other shoulder saying “come on, keep it going, it’s less than ten minutes to go, bit of pain for eight minutes, you can do that, you’ll be sickened if you don’t break 35”. Shortly after that I looked at my watch again to see 6.6km gone, really hoping to see a bigger number than that, which caused another momentary down turn. I honestly felt like stopping at that point, really just wanted it all to be over, but made a little deal with myself to forget about the watch, fix my eyes on the heels of the 35 minute pacers just up the road and try to keep them in sight. If I did that then there was a good chance I could just about squeak under. I felt like I was slowing down horrendously at this point. My legs were leaden, my stride felt really short but not particularly quick, the only saving grace was that I seemed to be going quicker than most of the people around me at that point. I was hoping and praying for it to end as soon as possible, kept thinking I must be almost there, I could hear the PA so must be almost home, and then I saw a sign saying 400m to go. 400m! 400 bloody metres. For God’s sake, who keeps dragging this thing out? Surely it should be over now? Oh for feck’s sake. It seemed like an awful long way to go but at least it meant that the end was nigh so I girded my loins, contorted my already twisted features even more and poured out everything I had left. I’d heard the PA say a while back 34 minutes on the clock but I knew I had a little in the bank as I was quite a few seconds after the gun crossing the line but now she was saying 35 minutes. At last I could see the finish line so one last staggering surge and I was there, coughing, spluttering but across the line, the contents of my stomach just about staying where they were but more importantly a time on my watch that started with 34! A couple of seconds later when I could actually focus and see it said 34:50 I was absolutely overjoyed. The pain and misery of the last few minutes instantly melted away and was instantly replaced by relief and satisfaction. So this is how you’re meant to do it, this is how it feels to be rewarded for your efforts. Prague was an enjoyable experience, and was satisfactory in that I achieved what I set out to, and it was important for me to go out with a plan in mind and stick to it, but there was always the whole ‘just a training run’ thing at the back of my mind. Today was different in that I was actually going out to test myself, and it’s a pretty nice feeling coming out the other side knowing you’ve passed. While I’m here, I have to say a few words about the race organisation. That was probably the most well run and efficient race I’ve taken part in. Number and t-shirt collection took literally a minute, no faffing round at the start line waiting for people, nobody going off course, straight through at the end for post race refreshments (including really tasty coconut water), all centred around the beautiful grounds of Terenure College and all for just €20. That’s why I love races organised by running clubs. No nonsense goody bags or unnecessary expense. Really great work by Sportsworld Running Club (and they had the cones in, banners and barricades and all the roads back to normal by the time I was walking back to my brother’s).